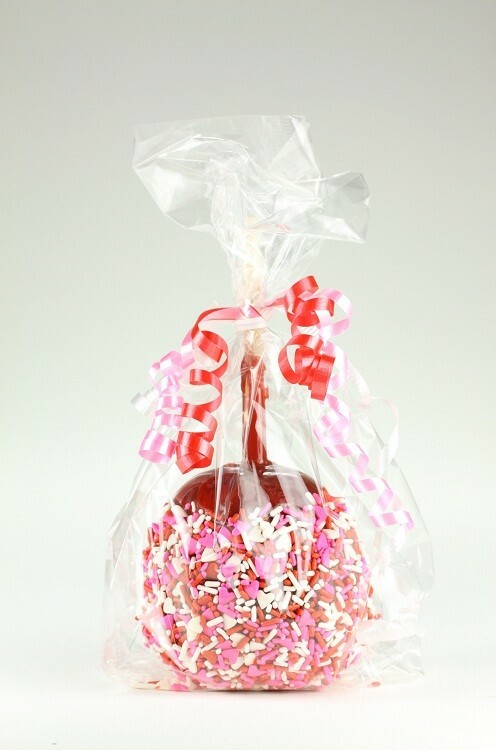 Valentine’s Day Caramel Apple created with Daffy Apple Red Candy Caramel. Add your own sprinkles, ribbon, cellophane, the sky’s the limit when decorating caramel apples! Don’t you love the little pink and white heart sprinkles? Posted in Bulk Caramel, Daffy Farms, Decorating Ideas, Delicious Pictures and tagged bulk caramel, daffy apple, daffy farms, Q&A Tuesday, Valentine's Day on February 6, 2014 by daffyfarmsblog. ← Q&A Tuesday: Why can’t I buy Daffy Apples in the store all year long?